The new nmidAgent remote poller plugin for Cacti has moved into Alpha phase. Testing has started at a customer site with good results being reported so far. Head over to the contact form if you have any inquiries or want to be part of the alpha/beta testing phase. We are excited to announce our upcoming Cacti® plugin is coming along nicely! 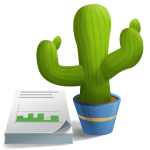 This new plugin will allow you to setup distributed Cacti pollers or “agents” with a central data aggregation and presentation server. 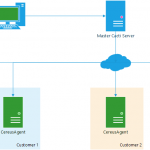 Remote pollers are using an on-demand mechanism to transfer polled data without the need to create NSF shares or permanent SQL connections to the Master system. Remote poller still collects data even if no connection to Master servers exists. Data will be transferred at a later time. Stay tuned and register for the newletter !